In regards to timepieces, “in-house” is a designation that carries great weight. When aspects of a watch’s production are performed in-house, the company generally retains a greater level of control over the production process. Although a number of companies produce their own movements, Rolex is one of the few that takes the “in-house” designation one step further and manufactures the proprietary materials from which they make their watches. 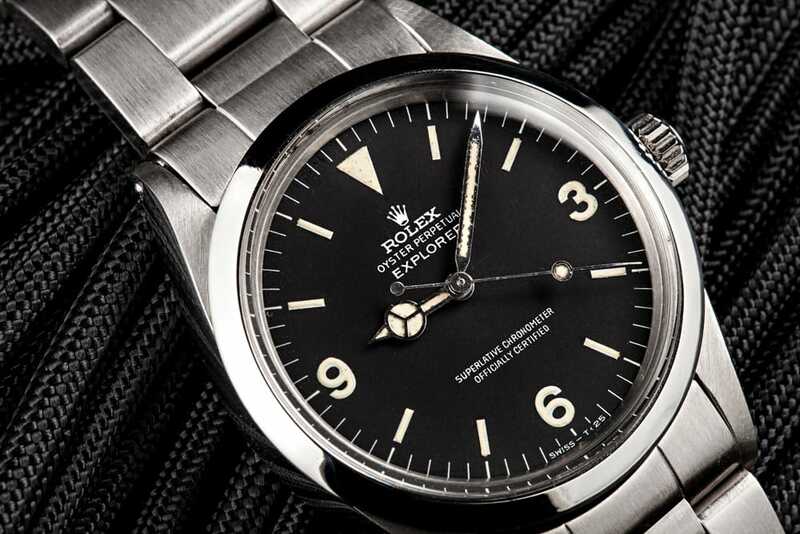 Classic Explorer Model 1016 is made with materials constructed in Rolex’s very own foundry. Rolex owns and operates its own foundry that produces all of the gold, platinum, and stainless steel alloys used in their watches. All gold, regardless of color, is a proprietary, 18-karat alloy that is specially engineered by Rolex for optimum durability and luxury. Rolex’s platinum alloy, known as 950 Platinum, consists of 950 thousandths of platinum combined with ruthenium (a chemical element in the platinum group). This results in an alloy that is durable enough for everyday use, while still retaining all of its luster and brilliance. 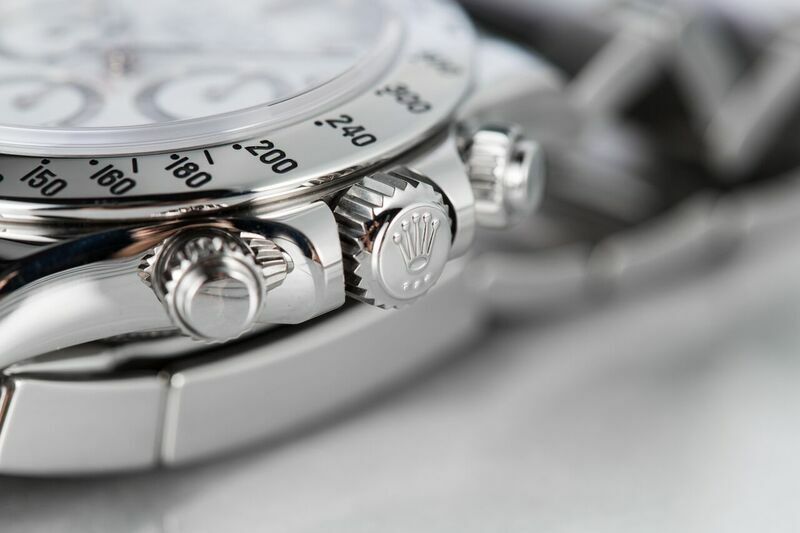 The vast majority of manufacturers use 316L stainless steel for their watches; however Rolex exclusively uses a 904L stainless steel alloy that is harder and more corrosion resistant due to higher levels of chromium, molybdenum, nickel, and copper. Although 904L stainless steel is not an invention of Rolex, they do manufacture the alloy in-house to ensure that it meets their high standards. To remedy issues of scratched and faded bezels, Rolex invented a new type of ceramic material called Cerachrom. A single bezel made from this extremely hard compound takes roughly forty hours to produce; however it is substantially superior to bezels made from traditional materials. Cerachrom is nearly impossible to scratch, and its color is immune to the effects of ultraviolet light, chlorine, and seawater. Rolex Cosmograph Daytona 116250 is a new watch and is the result of having a foundry. Another Rolex-exclusive material is the blue Parachrom that it uses for its hairsprings. Parachrom is a proprietary alloy made from niobium, zirconium, and oxygen. It took five years for Rolex engineers to develop this material; however it is entirely unaffected by magnetic fields, and it is ten times more shock resistant than traditional hairspring alloys. A less-noticeable Rolex innovation is the blue luminescent paint used on the hands and hour markers of many newer references. In 2008, Rolex announced its own proprietary luminescence known as Chromalight. While it boasts a slightly longer glow time than its predecessor, the most noticeable change has been the striking blue light that it brings to the faces of many new Rolex models. The “in-house” designation generally implies that a company has mastered that specific aspect of production. Several times throughout history, Rolex has found itself hindered by the physical limitations of available materials. Rather than accepting these constraints, Rolex invents new materials, allowing them to continue to push the boundaries of watchmaking.